On your first visit, plan to be at Fox Chase for two to four hours. At this time, you will meet with your care team. The team will review your health records and provide a plan of care that’s right for you. 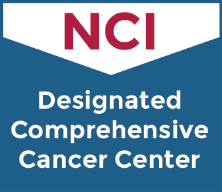 They will also answer all of your questions about your diagnosis and treatment options. We suggest you bring a family member or friend with you to this visit. It is helpful for another person to hear your doctor’s plan for treatment and offer you support. Your support person can also help make sure your questions get fully answered. Visit our Registration and What to Bring to Your First Appointment pages to help plan your first visit on our campus. You may also want to pre-register online with a MyFoxChase account to help the registration process run more smoothly. Fox Chase offers language services to patients who prefer to receive their health care information in a language other than English. If you need to change your new patient appointment, please contact us as soon as possible, at least 24 hours beforehand, at 215-728-2570. 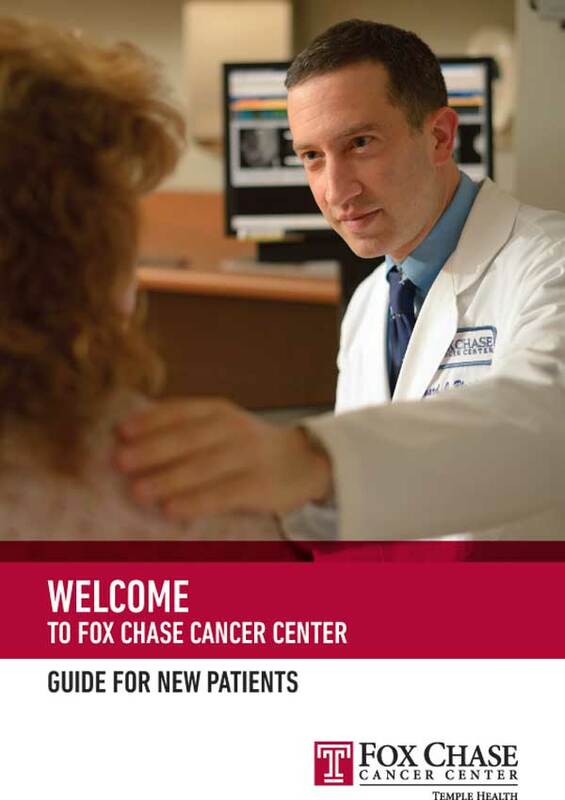 Our Patient Guide— specially designed for you, your family and your caregivers—includes important information about our services and answers questions you may have throughout your visit.